Umm, I meant a REAL pony! Is there a little girl in the history of the planet that has not at one point pestered her parents beyond the point of madness for a pony? Christmas has to be the worst time of the year for the parents of horse crazy girls, because unless you can actually afford to make said be-ribboned pony magically appear in the barn or pasture, you know that no matter what other amazing presents you've placed under the tree, you are doomed to failure. Because your little equestrienne would give up every Wii, Barbie Dream House, bike, or Aeropostale wardrobe for just one teensy weensy equine. As you can see from the picture, I was such a girl, and even at the tender of age of not quite two I was less than impressed with the plastic rocking horse Nance and Frank were trying to pass off on me. Yup, I may have been a toddler, but I was no dope. This was clearly a PLASTIC pony, and an unacceptable substitution when I'd requested a real, flesh and blood pony. 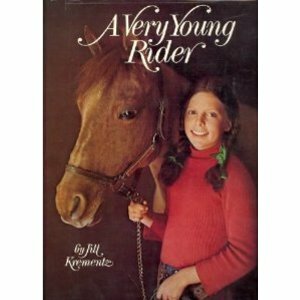 Maybe you are from my era or are extremely literate and know of the book " A Very Young Rider" by Jill Krementz. The book was one of a series of photographic essays done by Krementz that chronicle the lives of preternaturally talented and precocious young overachievers. 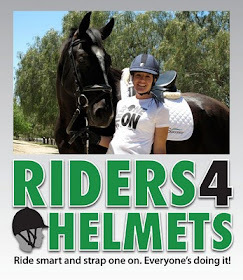 The rider who was featured was named Vivi, and I wanted to be her so badly it hurt. She had a pony, her big sister trained with George Morris and she trained with one of his assistants. 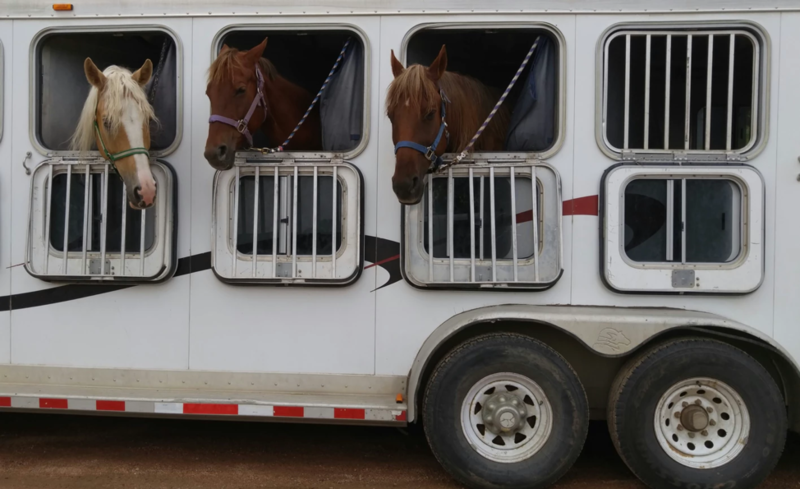 The story followed a year in her life of training and showing, and at the end she outgrew her pony and had to sell it, but lo and behold, on Christmas morning there was another one waiting for her in her barn! I'll admit it, on the one hand I was thrilled for Vivi, but on the other hand I was so jealous I could have spit. My parents HATED this book, and would roll their eyes and run for cover whenever I took it out of the library. I'm older now, and although I did not get her on Christmas, my dream eventually did come true and I am blessed enough to have a horse of my own. I think a part of me is still a small girl at heart, and able to immediately identify with the child when I see something like the video below. Makes you wish all little girls and boys who wish for ponies could get them, doesn't it? More importantly, it makes you wish that every pony or horse had it's very own child to love it. Go ahead, tell me you can watch this without full on bawling. The little girl's excitement was precious, but what really broke me down was the look on the pony's face. You almost heard that pony sigh, "Finally. Finally I have a little girl." So so sweet! Reminds me of telling Miranda that our lease horse was sold, and how quickly she teared up. Of course I did not film it; should have because her face when I told her I bought the horse was just priceless. And Pippi is still magic to us. Awesome post, Amy! But I do hope the parents in the video know what the hell they're doing. Those 6 a.m. feedings come pretty early in the morning. And they come every day. The pony's stall will need to be cleaned. Doesn't matter how cold it is. And don't get me started on those vet bills. Sincerely Yours, The Reality Grinch. I loved Penny, such a steady pony, and then Christmas morning, the new halter...!! Hey Amy, I have an idea. What's your email address? I know how early 6am is - and I'm up before the alarm because my little pony is in my backyard! He's always grateful at what I feed him. The vet bills are also a great myth to burst a child's dream. I spend more on my healthy dog during the year than I do on my four horses combined per year. I have found that usually the denial of a horse for a child is that Dad is afraid of horses and doesn't want to admit it. I know how much it costs for an emergency (holiday) colic call: $347. I know how much it costs for emergency (Sunday night) stitches: $275. I learned to do sheath cleaning because I saved $80. Still cheaper than boarding them. That video had me tearing up. So precious. I love your blog! Guest Post from Bob Goddard: "Reality Bites"
Best Part of Last Night?